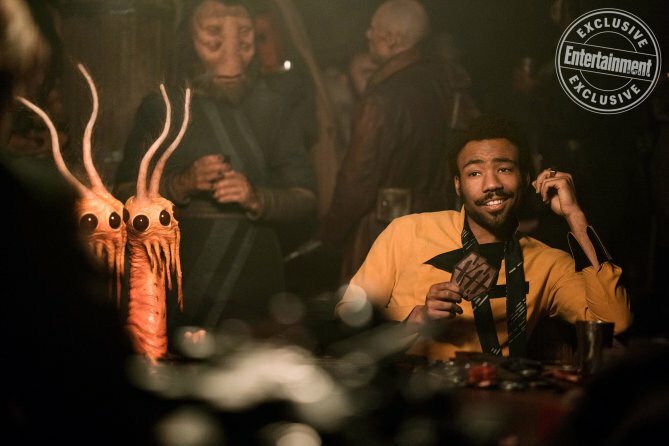 Donald Glover sat down with Entertainment Weekly to discuss becoming Lando Calrissian in Solo: A Star Wars Story. He recounts his meeting with Billy Dee Williams, how his Millennium Falcon is a little different from the one we came to know in the original trilogy, and his stylish wardrobe. [Entertainment Weekly] I’m interested in what you were able to discover from Billy Dee Williams when you met with him. What was it like with two Landos getting together? You can check out the rest of the interview at EW.com. Entertainment Weekly‘s Solo cover and exclusive images can be seen here and here. Interviews with Alden Ehrenreich and Kathleen Kennedy are found here and here.